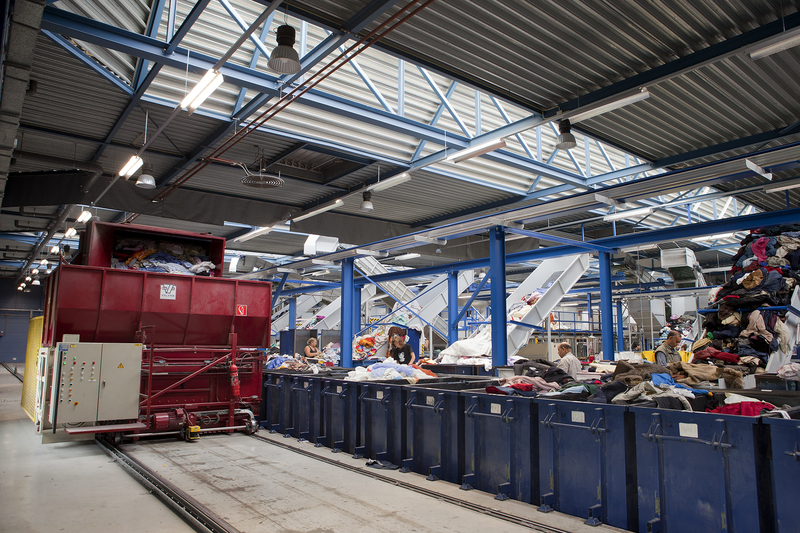 By means of the collection and high-precision sorting of textiles, a transparent approach to customers and suppliers and a flexible response to changeable market conditions, Boer Group intends to keep the proportion of (textile) residual waste to a minimum and to maintain domestic jobs in this sector so that the organisation’s profitability can be maximised. Sustainability and safety are top priorities in the implementation of Boer Group’s mission, whereby the concepts of “People”, “Planet” and “Profit” are combined. encouraging involvement in our services, carrying out our work activities and continually making improvements in the areas of health, safety, the environment and social responsibility by striving for continuous improvement in the areas of safety, health and the environment. To this end, Boer Group pursues an active policy to achieve good, measurable results in terms of reducing the environmental impact as a result of its production process and the services it provides. In this regard, Boer Group is working on reduction of CO2 emissions, energy conservation and reducing and recycling waste streams. Whilst making a profit, Boer Group is thoroughly aware of its social responsibility and commitment. With a special consideration for all people, Boer Group tries to give something back to society in the form of work, money, education, public safety and living environment. In the years ahead, Boer Group will focus specifically on finding sustainable and efficient ways to sort the expected increase in the flow of subtypes, i.e. textiles of such a quality that they are not suitable for product recycling. It also aims to increase its share of the Dutch collection market. This policy statement has been communicated to all Boer Group staff and is reviewed every year. The statement is assessed every three years and, if necessary, updated and reimplemented.